Nurseries are spaces for growing, playing and dreaming, and these sophisticated nursery looks prove that rooms for tiny people don’t have to compromise on style. 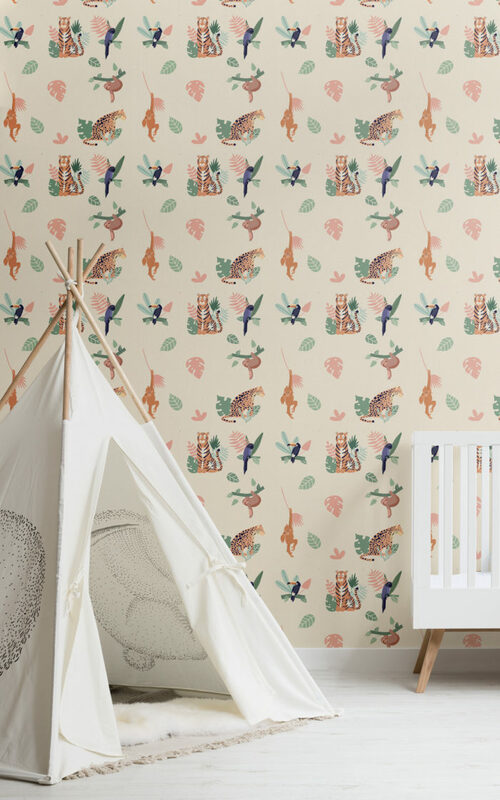 From a pop-up animal oasis to a pastel-hued jungle hideout, these dreamy animal wallpapers make for chic, design conscious nurseries. 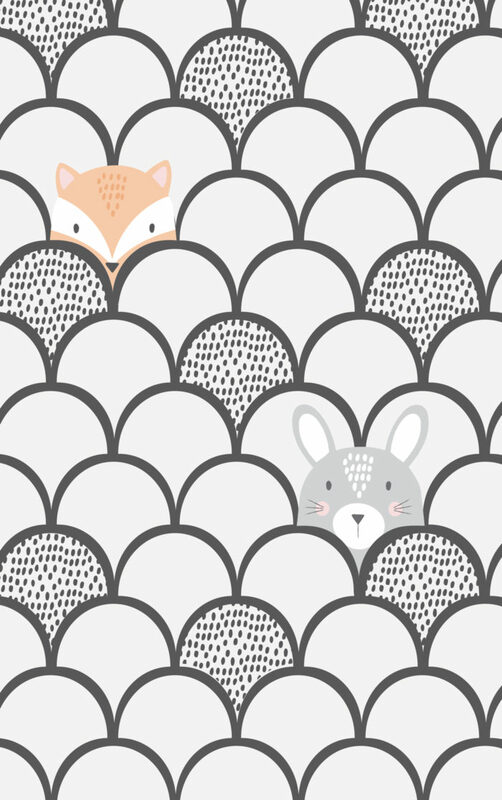 The Peek pop-up wallpaper below adds an element of lighthearted elegance to a room, keeping it playful for your little one with friendly animal characters peeking out from within the pattern. The lovely little rug and pom-pom rimmed basket make for stylish accessories and tie in perfectly with the softly dotted scales of the pattern. They also compliment the colour pops of the creatures and subtly tie the colour scheme together. Style this wonderful wallpaper with simple nursery furniture and personal trinkets to give the room its serene, sophisticated and adorable appeal. 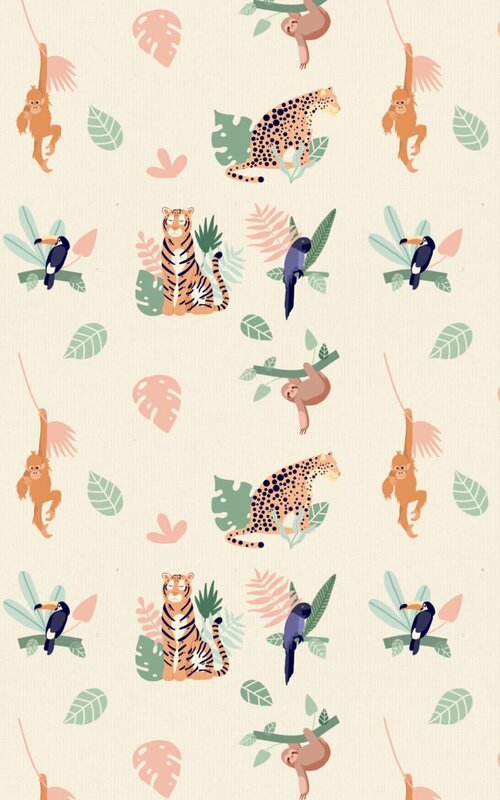 This wallpaper creates the nursery that dreams are made of. 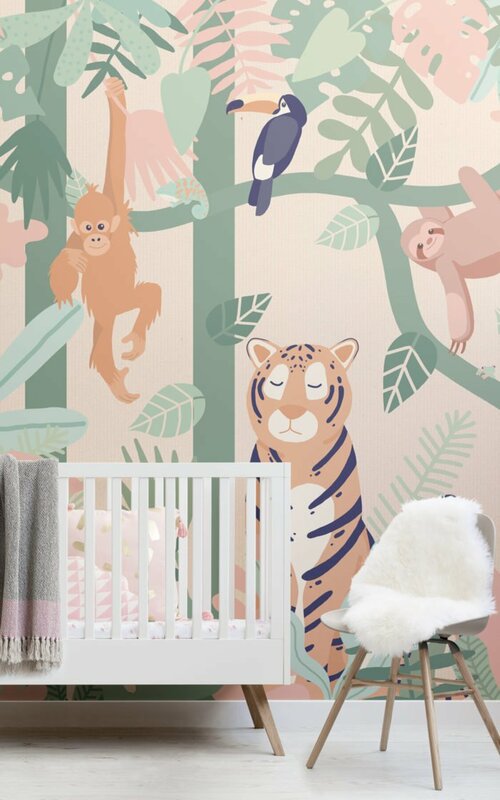 Styled alongside a beautiful, minimalistic crib and cream linen ti-pi, this nursery is kept simple and chic, with the stunning jungle mural acting as an eye-catching and endearing accent wall. If you’re aiming for a neutral nursery but feel a white, beige or grey colour scheme feels too cold, adding a design such as this with its soft pastel colour palette and cute animals, livens up the space and makes it feel warm and welcoming. To complete this neutral nursery, we have added a soft, plush sheepskin rug – perfect for cosy, midday snoozes. 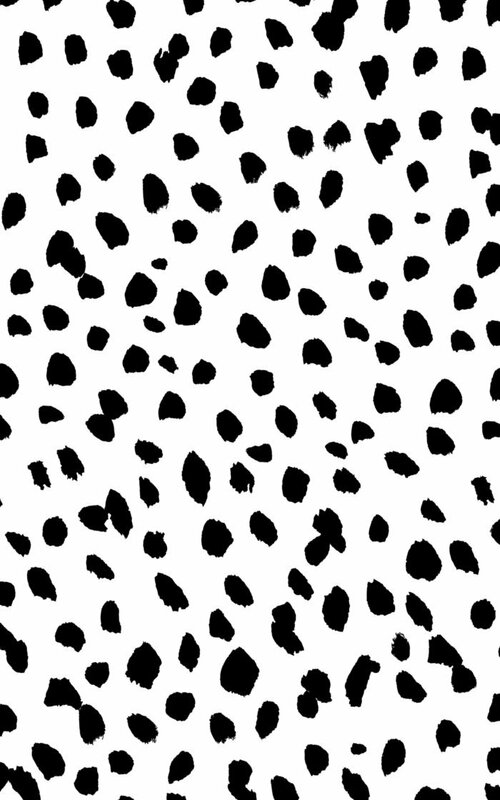 Another option for a playful take on neutral is the Perdita wallpaper. 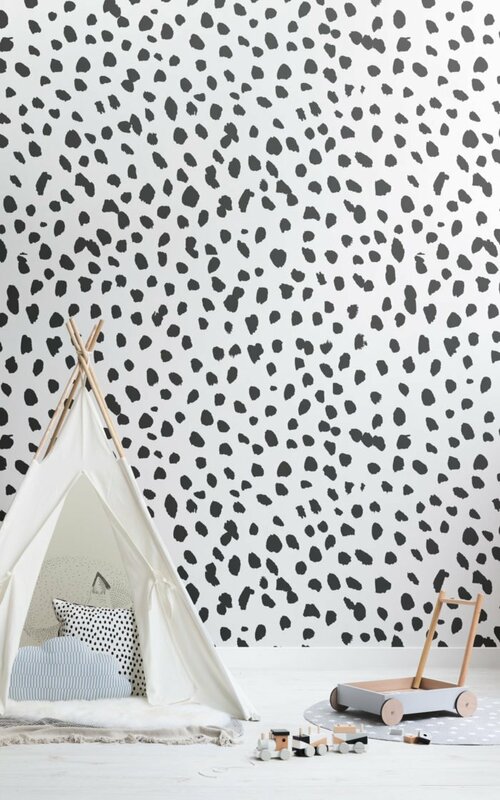 Installing the Perdita design as a feature wall adds a monochrome pop of animal inspired spots and speckles and creates a fun and friendly space for your little one to rest and play. The eye-catching dots are fun and offer an easy-to-style backdrop to frame the room. 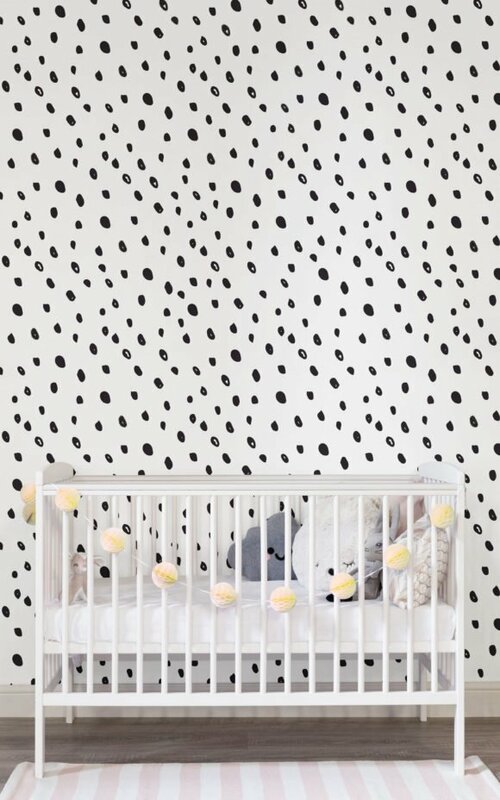 We love the understated hint of an animal pattern in this design, and it makes for a beautiful accent in a nursery that both parent and child will love. 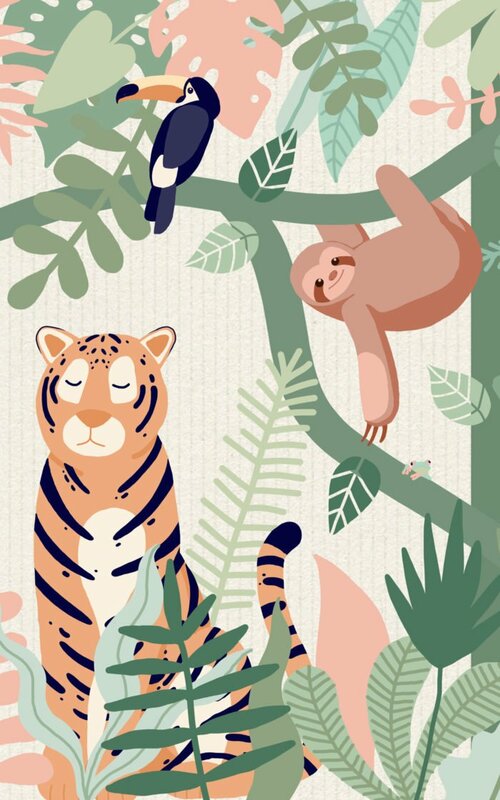 If you are looking for a cute jungle mural for your child’s nursery, look no further than the heartwarming Kids Jungle Animal Friends Wallpaper Mural. This beautifully designed mural features four jungle friends nestled amongst the foliage in a tasteful answer to a jungle-themed nursery. 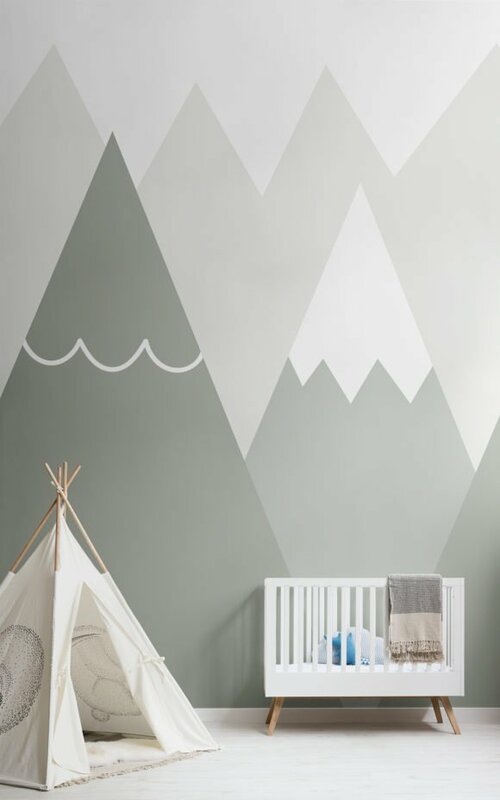 The artistic style of this mural creates both a cute, child-friendly backdrop as well as a wall mural that interior design conscious parents will adore. The soft muted tones within the design will create a modern yet warm feel in your nursery, transforming your little one’s space into something truly wonderful. Style with soft fabrics and cushions in bright and neutral colours to round off this adorable nursery perfectly.